The late Cuban revolutionary leader Fidel Castro has been honored with a mass rally in Havana’s Revolution Square. The gathering began with the national anthem and ended with a tribute from Fidel Castro’s brother, President Raul Castro. The rallywas attended by a number of world leaders – but some countries sent lower-level officials. 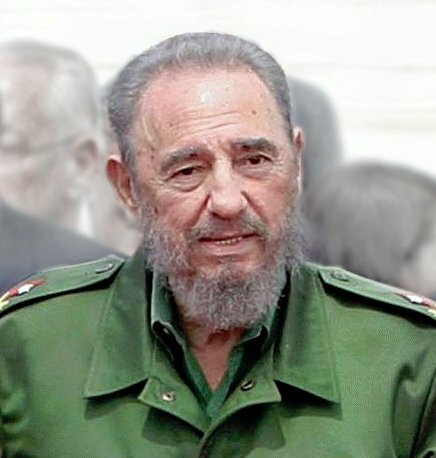 Fidel Castro, who came to power in 1959, died on November 25 at the age of 90. His ashes will be taken to the eastern city of Santiago on November 30. Opinion on Fidel Castro, who ruled Cuba as a one-party state for almost half a century, remains divided. Supporters say Fidel Castro returned Cuba to the people and praise him for some of his social programs, such as public health and education. However, critics call him a dictator, who led a government that did not tolerate opposition and dissent. This division led to some countries, such as the US, sending lower-ranking emissaries. However, allies including left-wing Latin American leaders were among those attending the ceremony in Revolution Square, where Cubans once gathered to listen to Fidel Castro’s fiery speeches. On November 29, the crowd chanted “long live the revolution!” and “Fidel! Fidel!” as the rally got under way. President Raul Castro closed the rally, referring to his brother as the leader of a revolution “for the humble, and by the humble”. Greece’s left-wing PM Alexis Tsipras was among those who addressed the crowd. The presidents of Mexico, Ecuador, Bolivia, Venezuela, Panama, South Africa and Zimbabwe also attended. In his speech, South African President Jacob Zuma praised Cuba’s record on health care and education and its support for African countries. On November 29, the left-wing presidents of Bolivia and Venezuela, Evo Morales and Nicolas Maduro, were among those who signed a book of condolences at the Jose Marti memorial where a photograph flanked by an honor guard has been on display since November 28. Another admirer of Fidel Castro, Ecuadorean President Rafael Correa, was joining the two presidents at the commemoration. However, many Western leaders are not attending the event in person. The White House announced that its nominee for the post of ambassador to Havana, Jeffrey DeLaurentis, and Deputy National Security Adviser Ben Rhodes would attend the commemorative event but that it was not sending an “official delegation” to Cuba. Ben Rhodes was one of the US officials who negotiated the thaw between the United States and the Cuban government announced in December 2014. On November 28, President-elect Donald Trump threatened to end the detente if Cuba did not offer a “better deal”. On November 30, Fidel Castro’s ashes will be taken on a journey to Santiago, which is regarded as the Cuba’s 1959 revolution. Fidel Castro’s ashes will be placed on December 4 in the Ifigenia Cemetery in Santiago, where Cuban independence hero Jose Marti is buried.